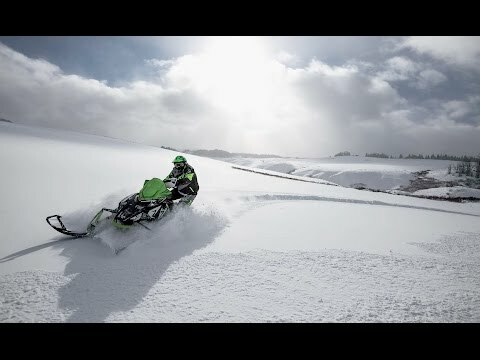 SLIDE-ACTION REAR SUSPENSION WITH ARCTIC CAT IFP SHOCKS: The SLIDE-ACTION Rear Suspension brings race-day technology to everyday riding. Our U-shaped slot fits over a fixed shaft to allow a crucial half-inch of sliding movement. 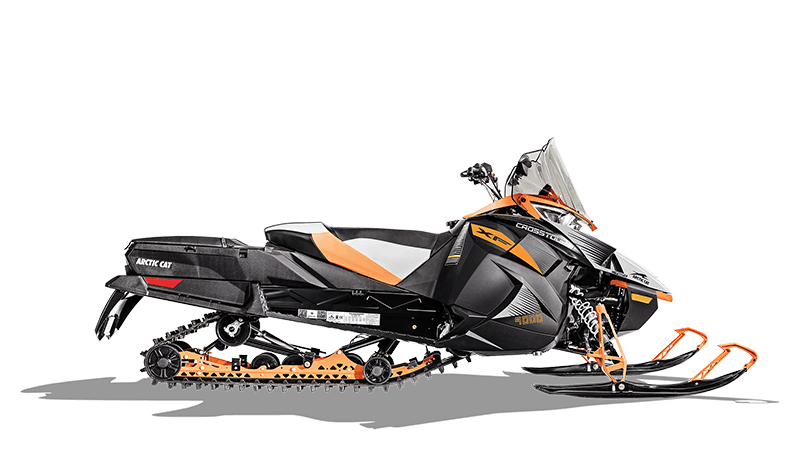 As the rear transfer blocks are engaged, the free-acting front arm follows the terrain, keeping your skis firmly planted over bumps, and during aggressive cornering and acceleration. This significant detail controls ski lift during acceleration. The Arctic Cat IFP gas shocks feature a hard-anodized aluminum body, 0.5″ shaft, aluminum internal floating piston, and high-quality seals and ice scrapers. AUXILIARY GAS TANK 4.3 GAL. 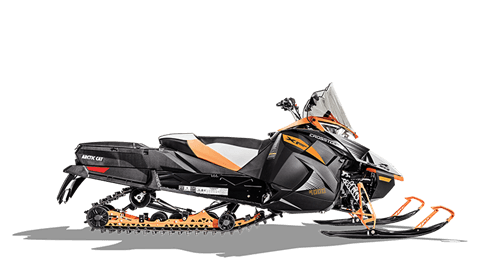 (16.28 L): Want to ride even more? This 4.3 gal. auxiliary tank is just the ticket. It has a separate fuel cap located under the cowling behind the passenger seat and feeds directly into the main 10.7 gal. fuel tank to give you 15 total gallons of fuel capacity.